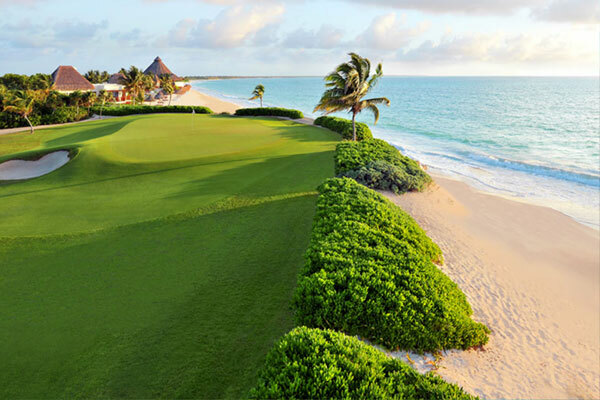 Playa Mujeres Golf Club was designed by famous Greg Norman. 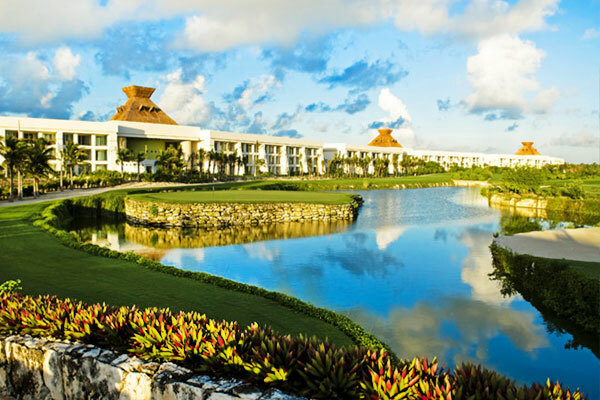 This beautiful 18-holes golf course is located 15 minutes away (north) from Cancun’s hotel zone and surrounded by water holes, jungle, bunkers, greens, spectacular ocean views to Isla Mujeres and white sandy beaches. This golf course is an International model in preserving the natural flora and wildlife because of utilizing a rearrangement of the site’s native plants, trees and other indigenous foliage. There are fast winds in some of the holes that demand pinpoint accuracy and the great design of this golf course is a challenger for players that are seeking for some difficult games. The clubhouse offers a proshop, restaurant and smoking area in the middle of a lake with spectacular views. 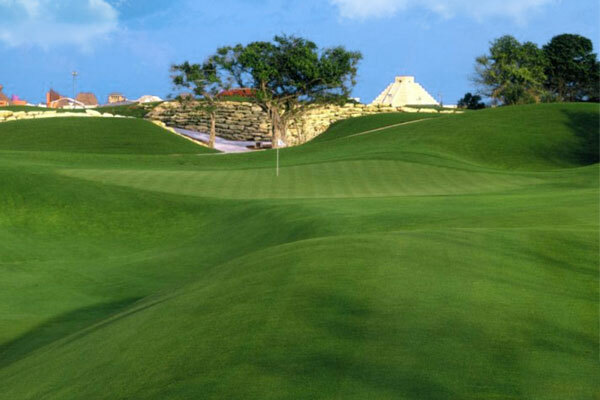 Playa Mujeres Golf Club is considered one of the best golf courses in Mexico.